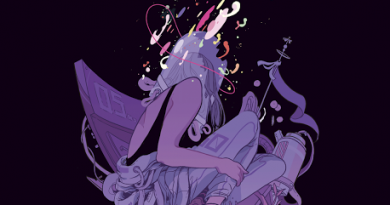 The writing here at Sequential State has been a bit sparse – apologies if you’ve been waiting for the latest update. I took a little time off over the last few weeks to decompress and get some reading in. I’ve been doing a lot of prose reading, and getting through some zines and library borrows that have been piling up. I’m still getting my feet back under me and likely won’t have a ton of reviews during the rest of March, but the break has been necessary for my mental health. 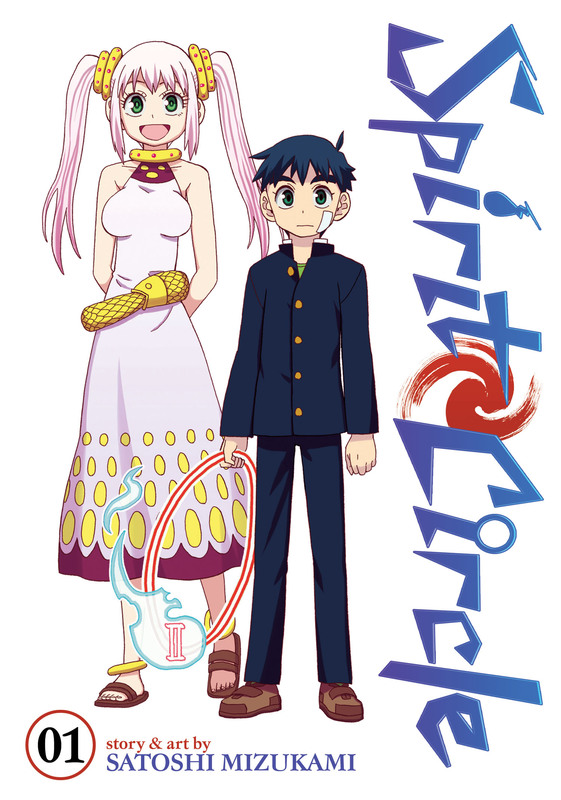 More reading means more grist for the mill, so to speak, and the series I’ve been ruminating over the last few weeks is Satoshi Mizukami’s Spirit Circle. 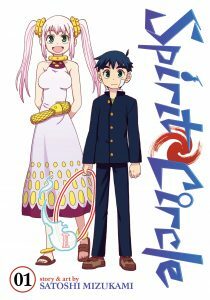 Mizukami is best known in the US for Lucifer and the Biscuit Hammer, published by Seven Seas, and Spirit Circle is his latest work. 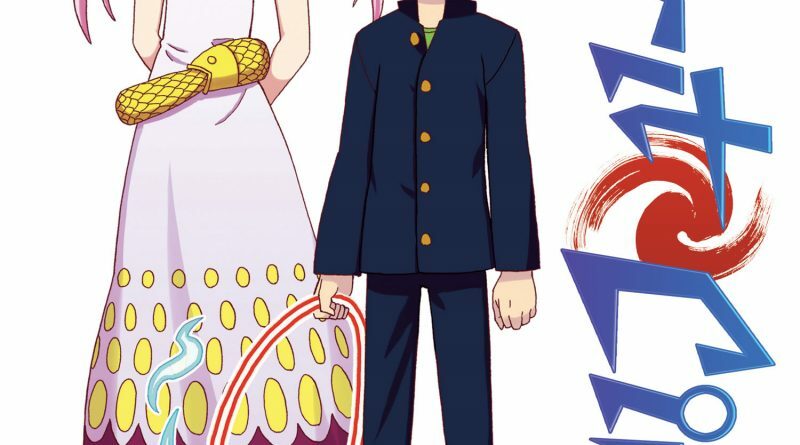 The story’s protagonist, Fuuta Okeya, can see ghosts, but is otherwise a normal junior-high boy. When a transfer student named Kouko Ishigami joins Fuuta’s class, he takes her arrival as a chance to make friends with a cute girl. But she has different plans, and announces that she’s here to kill his soul and end a 10,000 year cycle the two have been wrapped up in. Through the first two volumes, Fuuta is transported back in time through past lives, and sees how his interactions with Kouko have caused both of them suffering and hardship. 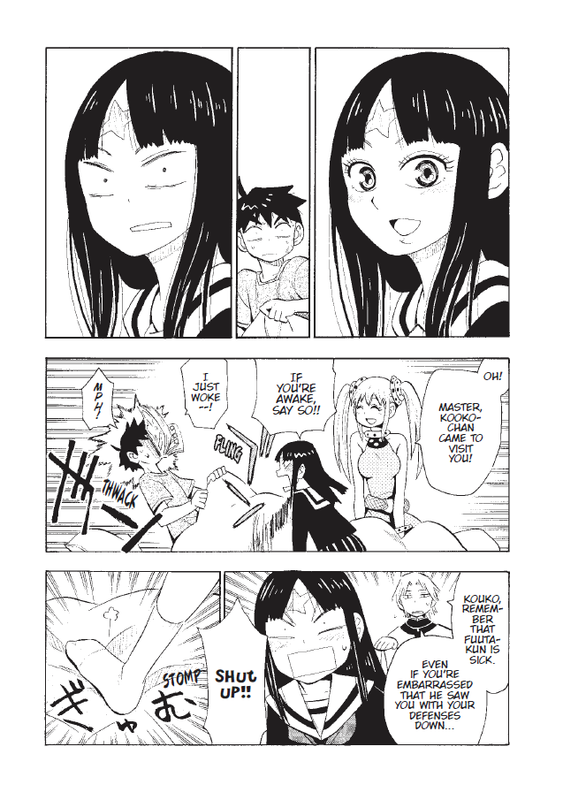 One of the biggest flaws of Lucifer and the Biscuit Hammer was its glacial pacing in the first two volumes; Mizukami has corrected that problem thoroughly with Spirit Circle. The series jets off, introducing characters and scenarios quickly and efficiently. The concept of a soul with multiple incarnations is a tricky one to pull off, and other manga has tried and failed to make this concept work. But Mizukami uses shared characters through all of the various incarnations to create a pass-through character development that works really well. 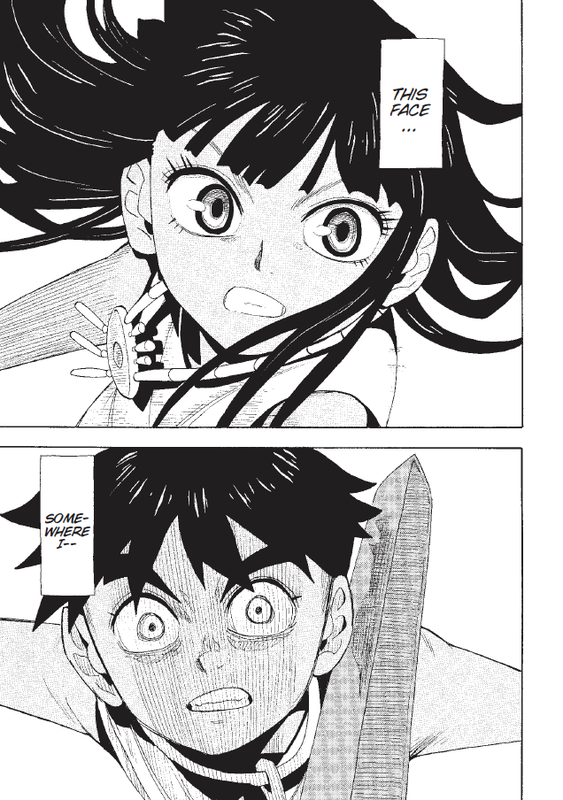 More importantly, Mizukami has an eye for the dramatic, and these first two volumes contain stories that are emotionally resonant, full of rage, hatred, love, and joy. 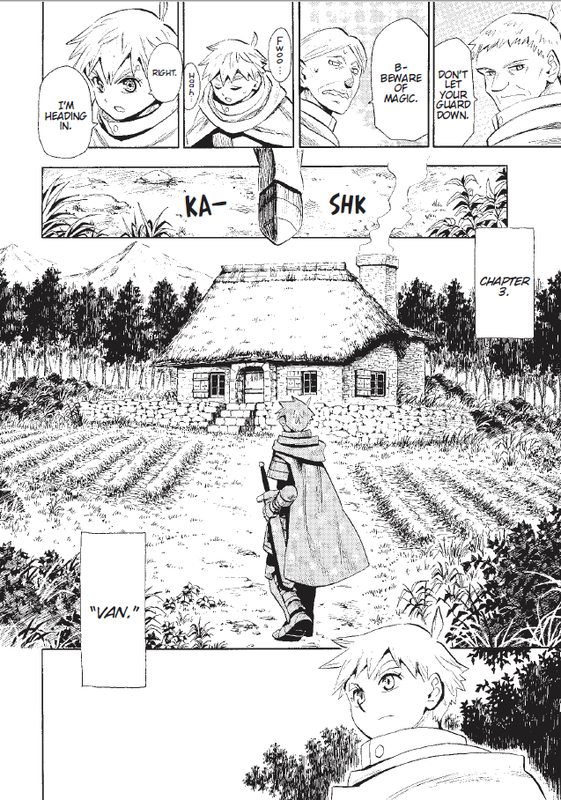 Mizukami’s illustration is likely the most divisive feature of the book, not because of its workmanlike nature, but because of its styling, which feels very 90s. What’s old eventually does become new, but there’s still a lot of distaste in the manga community for the 90s manga aesthetic. 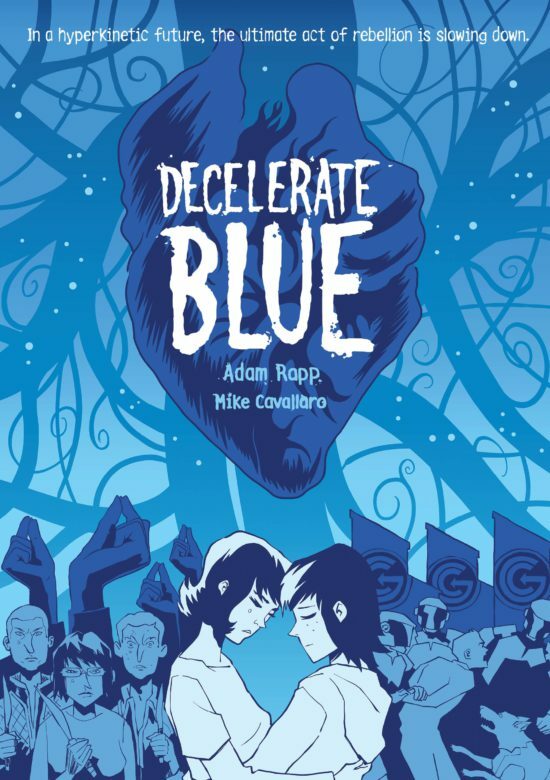 Throughout the first two volumes, what hit me hardest was how poignant and affecting these comics are. We follow Fuuta’s previous incarnations generally from a pivotal moment in his life until his death. I don’t know what I expected, but it certainly wasn’t how bitter and heartbreaking the stories of these incarnations would be. This seems obvious in retrospect, since the foundation of the series is the cycle of life and death, but Mizukami finds a way to make each story uniquely disheartening. There’s also an information imbalance, since Kouko knows the stories of all of her past lives, while Fuuta knows nothing. The damage Fuuta and Kouko have done to one-another over the course of lifetimes isn’t immediately obvious, but slowly comes to light. 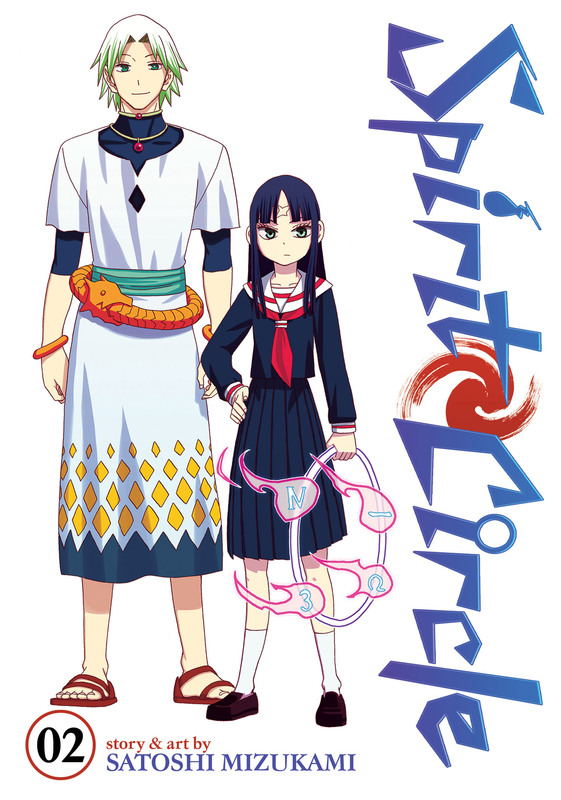 The core relationship between Fuuta and Kouko is what makes Spirit Circle work so well, and it’s the damage that exists between these two people and the potential for reconciliation in their relationship that gives the comic life. Ultimately, the major question of Spirit Circle is whether or not these two souls are doomed to repeat the failures of their past lives. That question remains unanswered for now – but I’ll be eagerly awaiting the third volume to find out more.